It's here! It's here! 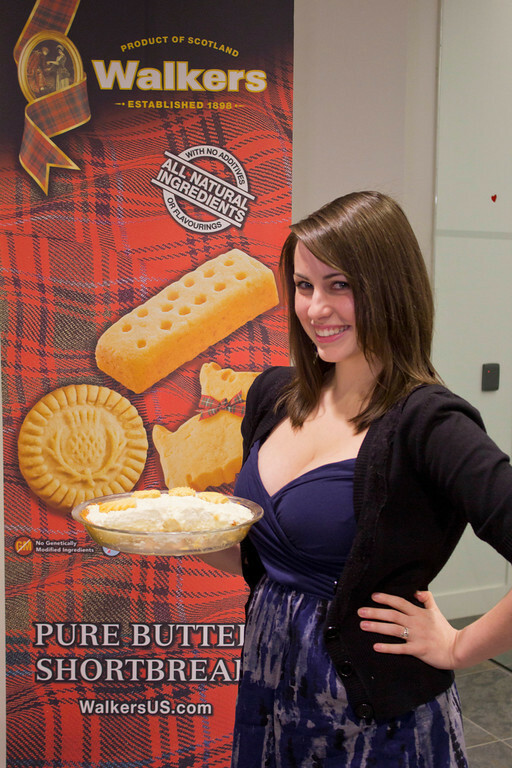 I can finally talk to you guys about the Walkers Shortbread Recipe Challenge I participated in(and won :P) last Monday! 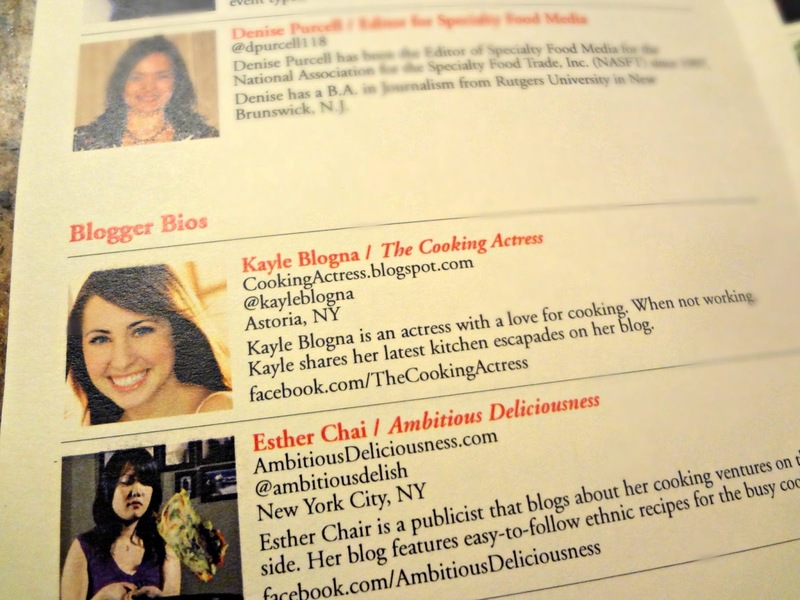 Basically, 8 food bloggers were contacted and asked to develop recipes using Walkers Shortbread. We started this whole thing last fall, but due to weather complications we ended up having the event in February. 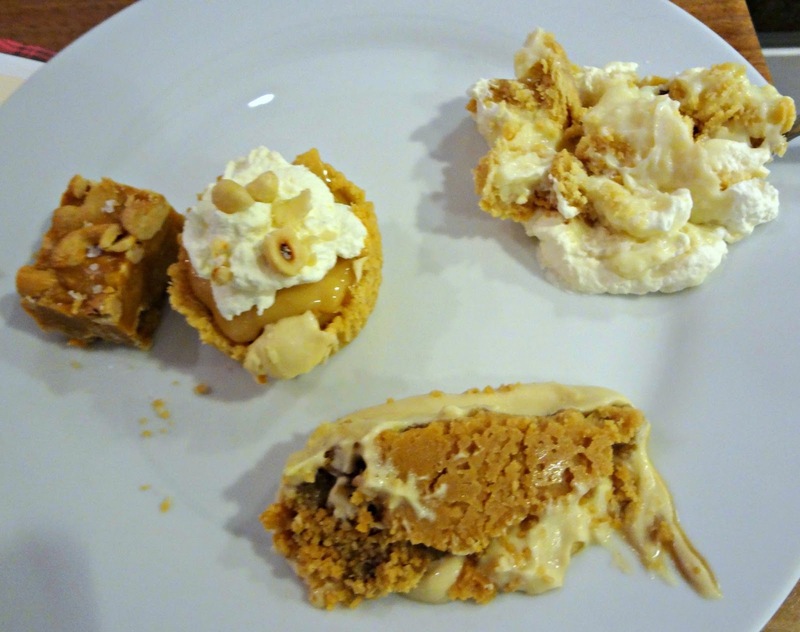 We all had to make desserts that fell into one of these categories: cake, pie, tart, custard, pudding, or trifle. Then they were judged on taste, appearance, creativity, level of difficulty, and overall impression. Highest overall score=winner. Anyway, all us bloggers arrived at the NASFT headquarters, bringing 2 of each of our dishes (1 for judges, 1 for us all to try). It was super cool. There was Walkers swag everywhere. Important looking people wandering around. And all of us food bloggers ogling the goodies, and eating some of the food they provided. 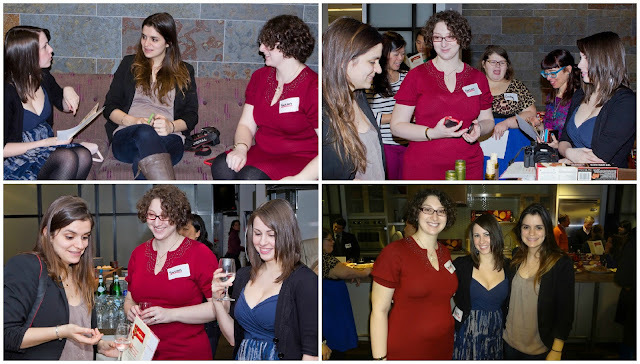 And of course, I got to hang out with Susan and Mallory (Girl in the Little Red Kitchen and Total Noms, respectively). As you can see, we were pretty much attached at the hip all day. It was so fun! 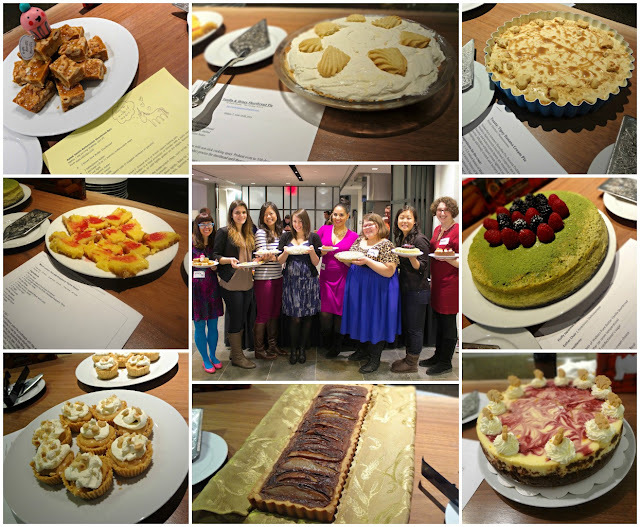 Um, yeah, can we talk about how gorgeous all those girls and their desserts are! So amazing. I was completely in awe of all of them. As you guys already know, the judges made their decision and by some strange twist of fate I was the winner. I was so stunned, look at how much I'm blushing here (also holding $500...that contributed to the grin)! Walkers Shortbread Brand Manager, Lisa Sherman, posed with me and the 2nd (Alejandra) and 3rd place (Esther and Emily) winners. 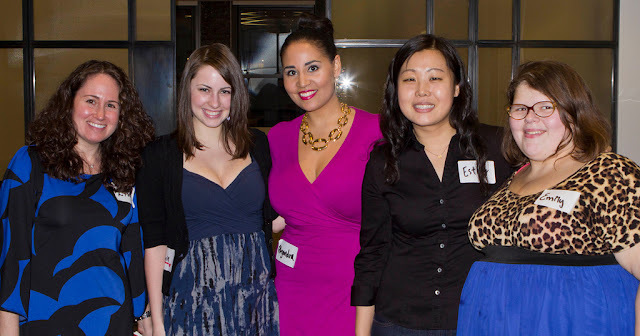 Such awesome ladies! I am so thrilled about the win, in addition to the money (and a basket I'm GIVING AWAY to you guys, keep reading) I also won 2 tickets to the Summer Fancy Food Show here in NYC! Yay! 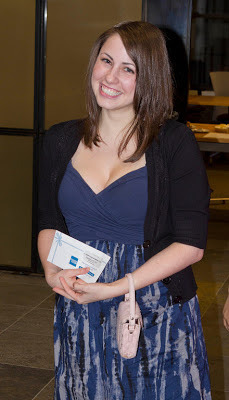 Also, if you guys are interested in seeing more photos from the event, you can check out some on SmugMug. 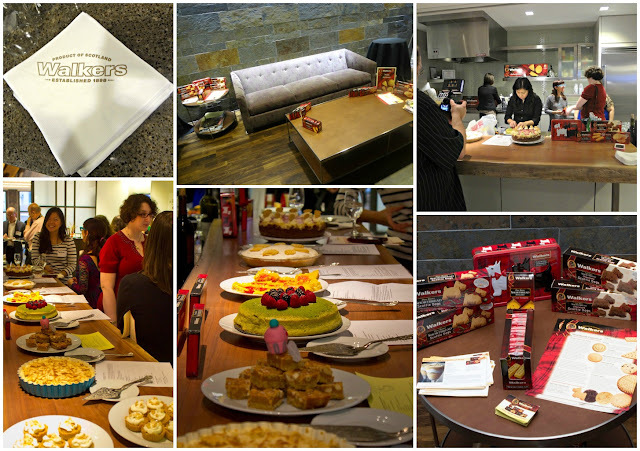 Some photos of our super gorgeous program and the amazing gift bags all of us bloggers (and judges) got to take home! 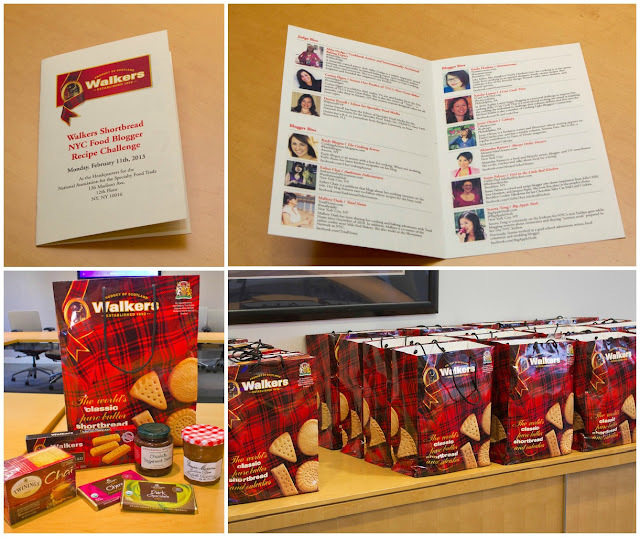 A big thank you to Walkers Shortbread along with Stonewall Kitchen, Twinings, Bonne Maman, and Lake Champlain Chocolates for the deliciousness we found in our gift bags! I also feel like, in case you live under a rock and aren't familiar with Walkers Shortbread, I should give you some info on them: Founded in 1898, they're the leading brand of food exported from Scotland-they offer the widest range of shortbread, traditional cookies, cakes, oatcakes, and puddings to over 80 different countries AND they still operate their original retail shop in the Scottish Highlands (the village of Aberlour). Their products contain no artificial flavorings, colorings, or additives (which is super important to me!) and all the cookies/biscuits are certified kosher OUD. If you guys want even more info check out their site www.walkersus.com! The winner is Cindy Brickley! Congratulations! 5.3 oz. Fingers, 5.3 oz. Orange Viennese, 4.5 oz. Keepsake Tin, 8.5 oz. Path to the Hills Tin, 5.3 oz. Petticoat Tails, 10.6 oz. Which Hand Tin, 5.3 oz. Triangles, 5.3 oz. Vanilla Shortbread, 8.8 oz. Scottish Cookie Selection. Giveaway closes March 1, 2013, 12 AM EST. After the contest is over, I will send the winner an email (so please make sure you provide an email address or some other way to get in touch with you), and obtain shipping information (we do not share this information with anyone). The winner will have 3 days to respond or another winner will be chosen, all prizes will be awarded. The winner will be chosen via a random number generator. Open to U.S. residents over the age of 18. NO PURCHASE NECESSARY. 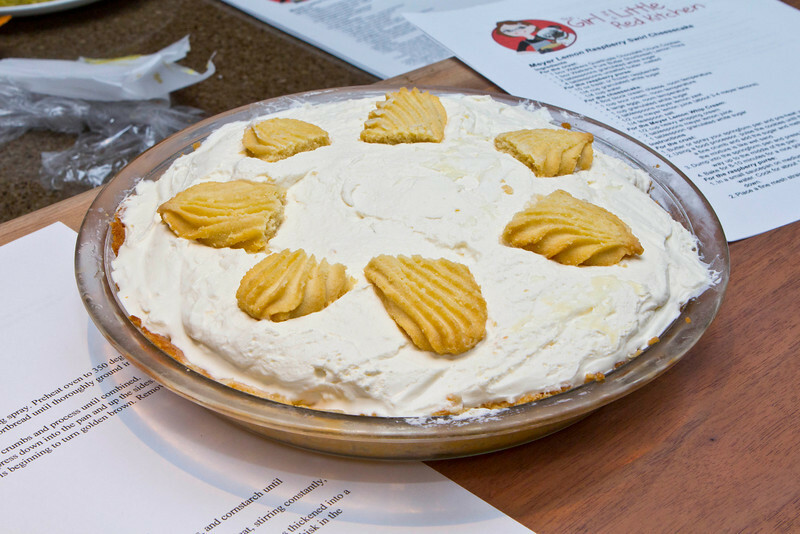 Leave a comment telling me how you'd use all that shortbread (recipe links encouraged)! 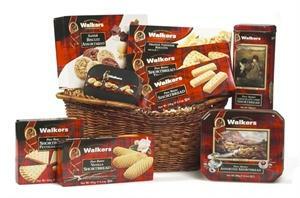 Follow Walkers Shortbread on Pinterest-leave a comment on here letting me know. Follow Walkers Shortbread on Twitter @Shortbread-leave me another comment.